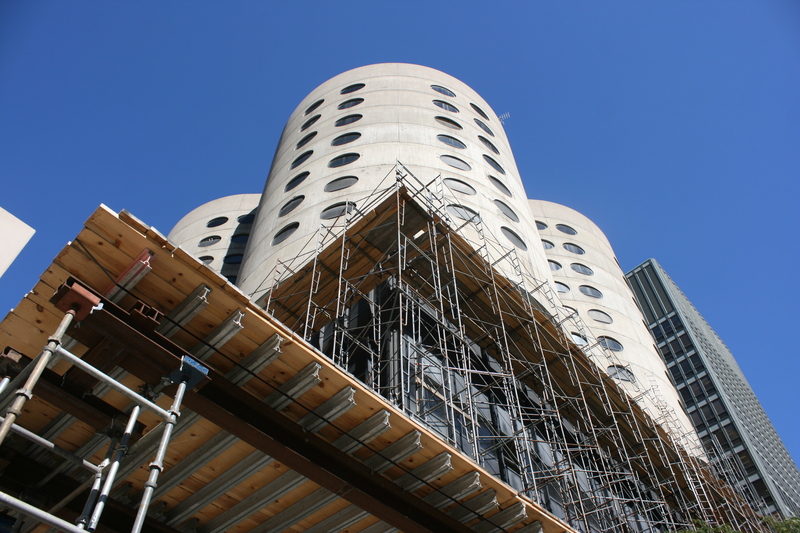 Bertrand Goldberg’s Prentice Hospital, Chicago | ride. travel. live. Going, going, and almost gone. It’s probably now a matter of weeks before the distinctive cloverleaf towers come down. Demolition has been proceeding all summer, the rather utilitarian base structure is fast disappearing. 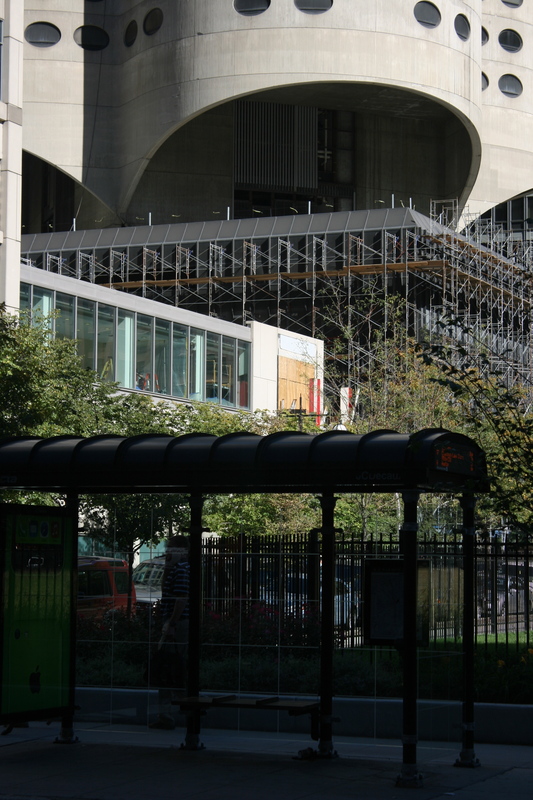 This is another major loss for Chicago architecture, and it doesn’t seem like Northwestern is going to replace it with anything particularly distinctive, at least none of the other buildings on the medical campus are anything special. Hospitals rarely last a long time, it’s probably true that the once-innovative features of Prentice Women’s Hospital went out of date back in the 1980s, but the building was very well built, a difficult and distinctive piece of engineering, and an important landmark in Bertrand Goldberg’s career. It’s been empty for years, but why tear it down when it can be creatively re-used? Scaffolding is up, the building is coming down. A bit reminiscent of Richard Nickel’s photos of the old Chicago Stock Exchange. A distinctive presence among all the usual street level stuff!